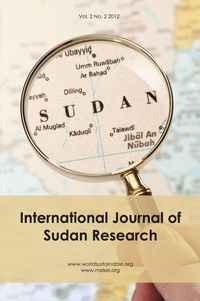 Purpose: As indicated in this study, women’s position in the Sudanese context is perceived to be subordinate to men as reflected in state policies. This appears in the different institutions, starting with the labour market, society and household/family levels. Yet, how can we explain their subordination in Sudan? Design/methodology/approach: There is a growing body of literature by feminist scholars, who debated issues of women’s subordination by the capitalist system in the form of neo-liberal economics that entail SAPs, as well as privatisation that impacted on women’s work, besides the influence of patriarchal systems that operated in the different institutions, i.e. family, society, labour market and the state. Findings: The debate, in itself, is not the whole reason for us to examine the impact of privatisation closely; the literature reviewed has demonstrated a gap in our knowledge, as the gender perspective has always been absent when privatisation is studied, especially at the national level, and to some extent at the regional and international levels. Originality/value: Thus, this study contributes to the body of knowledge by filling this gap by addressing the impact of privatisation on Sudanese women position from a gender perspective.